NERVONation is back at Ushuaïa in June. Get ready for this. NERVONation is returning to Ibiza this summer. Sisters Liv and Mim will play Ushuaïa on 7 June, 14 June and 21 June. 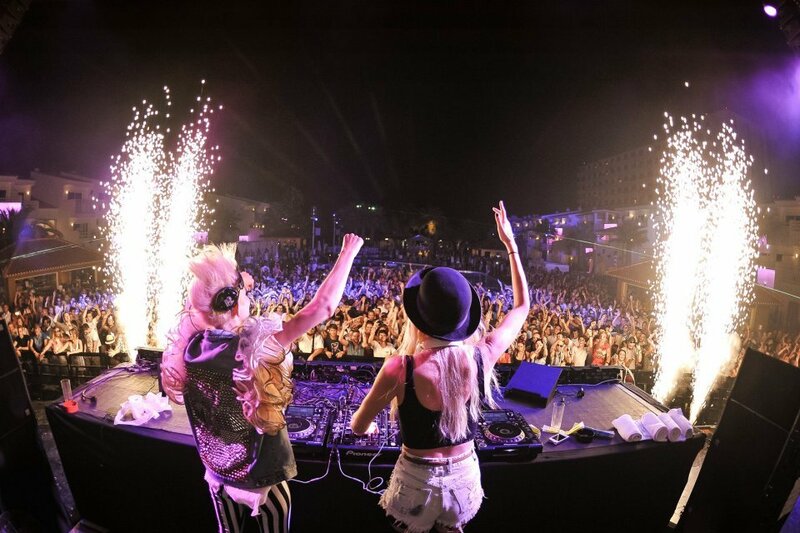 The duo NERVO is well-accustomed to stadium-sized crowds, having been regulars on the main stage at the likes of Tomorrowland, EDC and Creamfields. The difference is that here you get to see the girls' personal touch come pouring out ahead of Martin Garrix's residency from 5 July. Hailing from Melbourne, Australia, NERVO are ready to stamp their own brand of electro house anarchy on the island. 2018 will mark the fifth year the blonde bombshells have taken over the hotel. In the past, guests have included a mixture of EDM heavyweights and certified pop stars. Azealia Banks, Charlie XCX, Steve Aoki, Benny Benassi and Jax Jones are just a handful of names who have appeared. Those who have been before will attest that the Aussie sisters know how to party. It will be high-tempo and loud as the sound system takes a pounding. As always with Ushuaïa, you can be sure the production will blow you away, with no expense spared on confetti, streamers and CO2, as well as bucket loads of fun. Check below for more info and tickets coming soon.